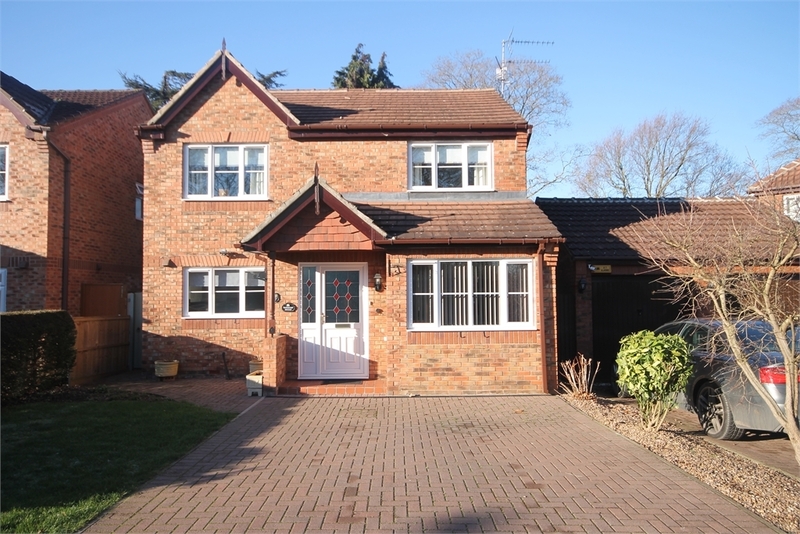 An immaculate detached property in this attractive and sought after part of Coddington. 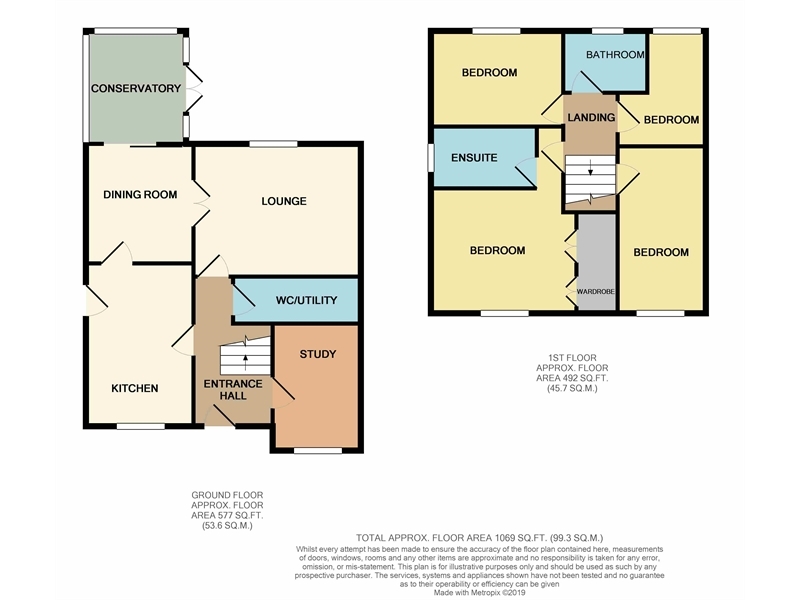 The accommodation comprises four bedrooms (master en-suite), lounge, dining room, conservatory, family room, downstairs wc/utility room and modern kitchen. 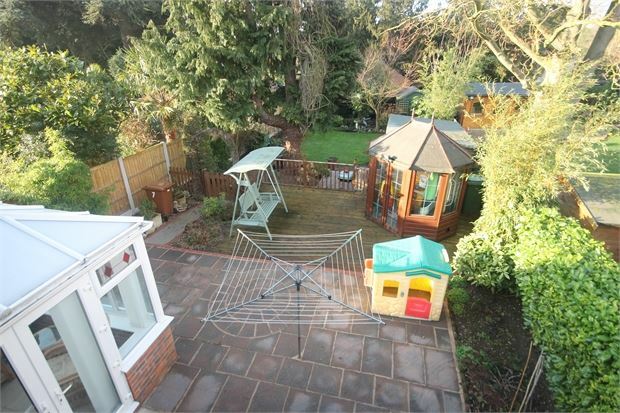 Parking and good size garden to the rear. 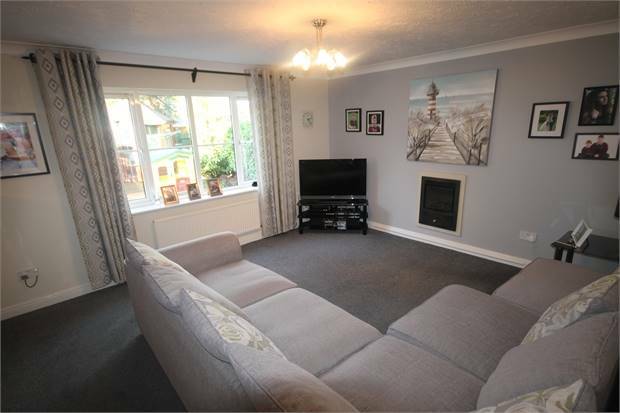 With stairs off to the first floor and radiator. 10' 5" by 7' 9" (3m 18cm by 2m 36cm), (). Window to the front and radiator. Having a low level wc, wash hand basin, plumbing for a washing machine, radiator and a central heating boiler. 14' 5" by 12' 10" (4m 39cm by 3m 91cm), (). 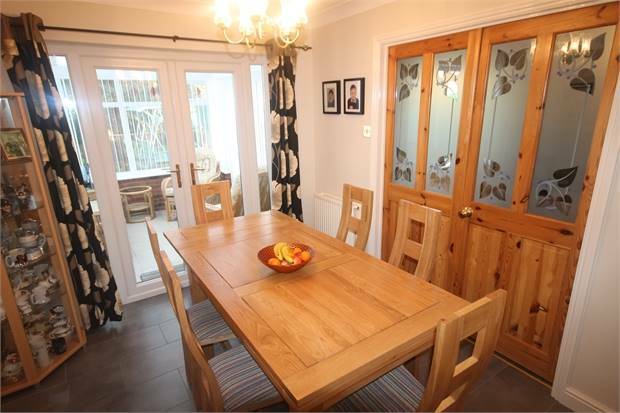 Having a gas fire, radiator, window to the rear and double doors to the dining room. 9' 7" by 8' 10" (2m 92cm by 2m 69cm), (). 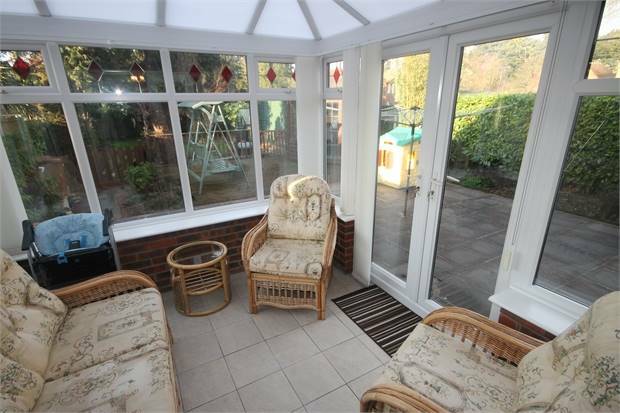 With tiled flooring, radiator and double doors through to the conservatory. 9' by 8' 4" (2m 74cm by 2m 54cm), (). 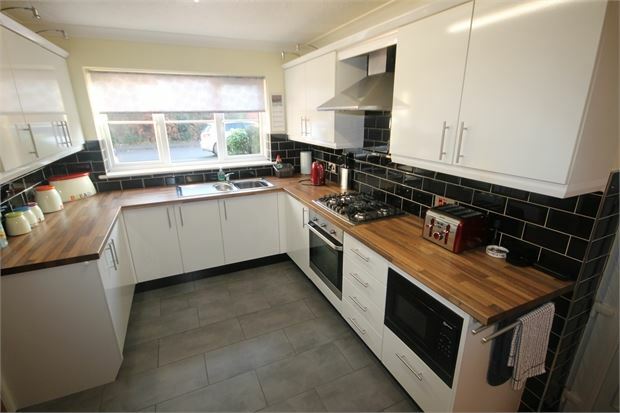 Tiled flooring and double doors to the garden. 12' 10" by 8' 7" (3m 91cm by 2m 62cm), (). Having a modern range of fitted wall and base units incorporating a 5 burner gas hob, electric oven and a one and a half bowl sink. 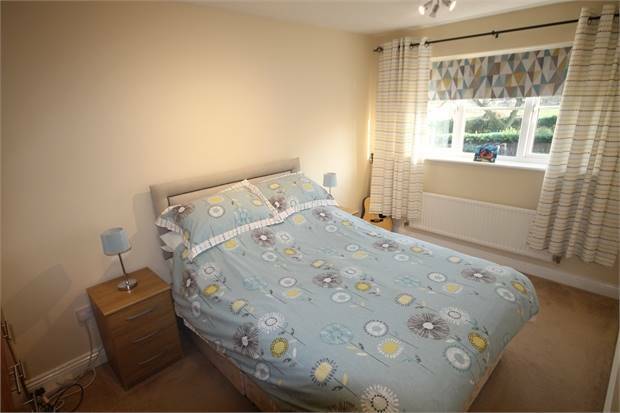 There is also a heated towel rail, window to the front and a door to the side. 9' 10" by 9' 10" (3m by 3m ), (up to wardrobes). 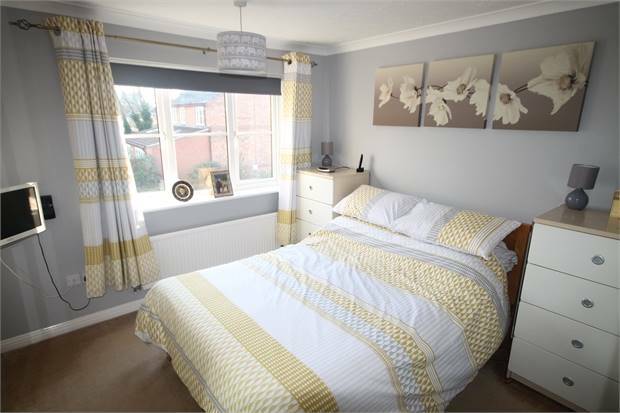 Having a window to the front, radiator and a range of fitted wardrobes. With low level wc, wash hand basin and a shower cubicle with electric shower. 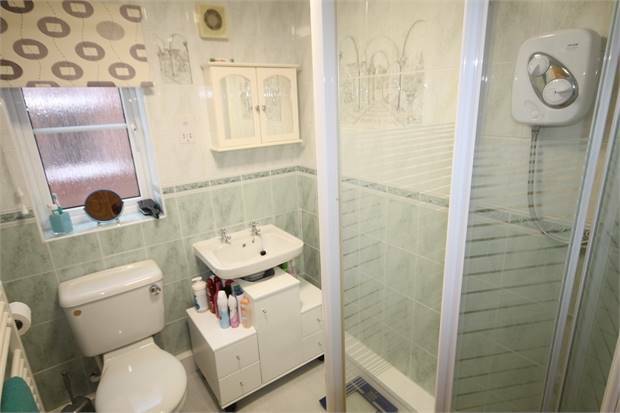 There is also a heated towel rail and a window to the side. 13' 2" by 8' 2" (4m 1cm by 2m 49cm), (). Window to the front, radiator and an airing cupboard. 9' 8" by 7' 4" (2m 95cm by 2m 24cm), (). Window to the rear and radiator. 9' 8" by 6' 7" (2m 95cm by 2m 1cm), (). Window to the rear and radiator. To the front of the property there is block paved parking. 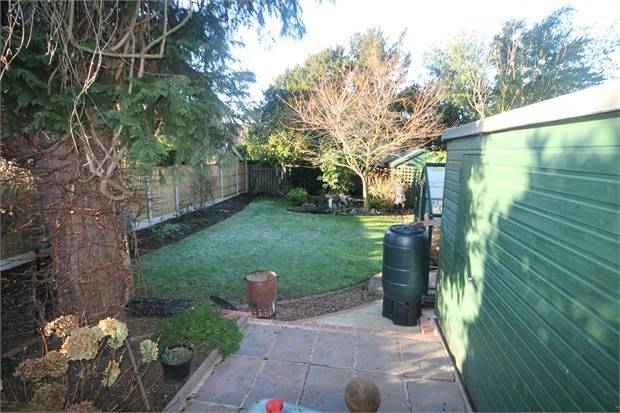 Gated access at the side leads to the rear garden. The rear garden has a large patio and decked area with steps leading down to the lawn where there are mature trees and borders. 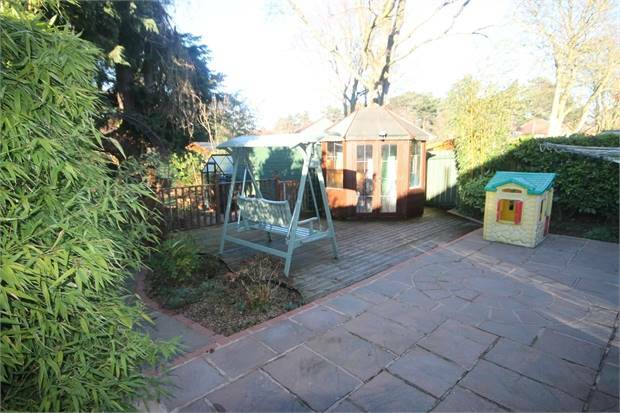 There is also a summer house and garden shed.